South Africa's diversity is legendary. Admire Cape Town, the iconic city nestled beneath majestic Table Mountain. Explore the vast Kalahari desert with a complete range of safari activities, including horse riding and hot air ballooning. 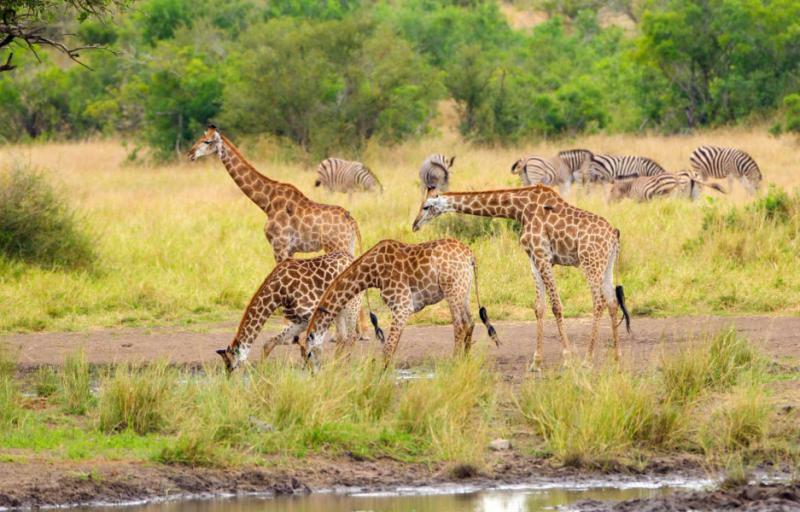 Then get lost in the magnitude of Kruger National Park, a place of long game drives and wilderness camps. 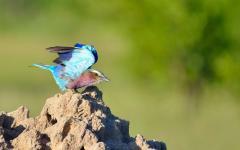 Relish a scintillating Tswalu Kalahari Reserve Safari experience. 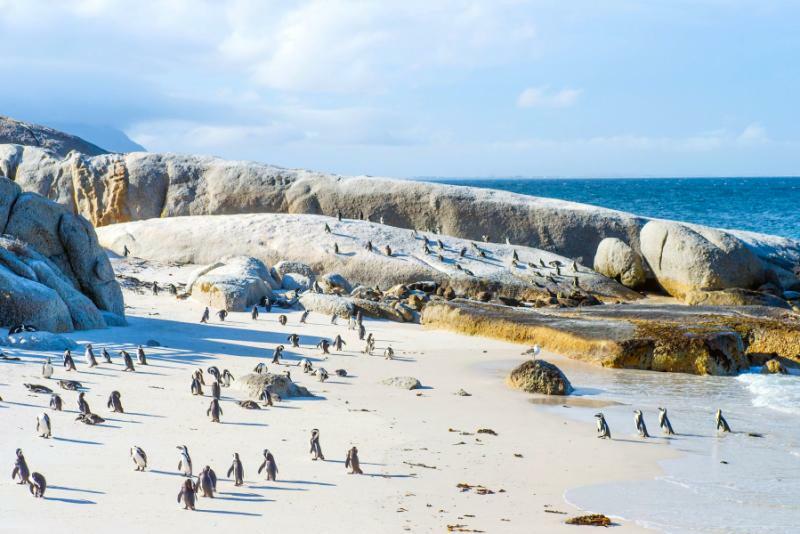 By connecting Cape Town, Kruger, and the Kalahari, you explore the three colorful extremities of an iconic country. 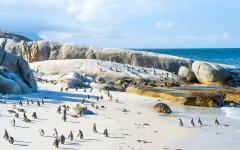 For scenic diversity there are few rivals to South Africa. 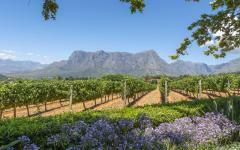 Rugged mountains dominate the Cape Peninsula, exquisitely hanging over the ocean and the city of Cape Town. 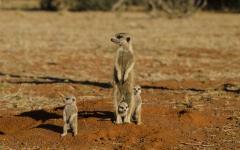 Vast sandy desert fills the north, the Kalahari packed with unusual wildlife and unique safari adventures. The northeast delivers iconic African savannah, true uninterrupted bushland that's filled with rhinos, big cats, and much much more. The landscapes' variety is matched by the myriad of experiences on offer: hot air balloon rides, horse riding safari, helicopters above Table Mountain, camping in the savannah, dining on the sand dunes, admiring rock art, and enjoying the stars that shine every night you're in the wilderness. South Africa doesn't just show you its landscapes. It lets you discover it all through this wonderful array of fresh experiences. This three-center vacation has been handcrafted to seamlessly connect the multitude of landscapes and activities. Start in Cape Town, a cable car to the Table Mountain summit a great introduction to the Cape and the city. Over four days you slowly explore the different sides; Nelson Mandela's incarceration on Robben Island, sensual treats in the Cape Winelands, a helicopter ride over the mountain, and an inspiring city journey through Bo-Kaap and Khayelitsha. 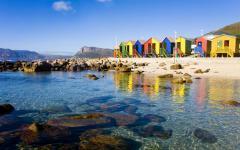 Ebullient and creative, Cape Town's atmosphere helps you settle into the harmonious contrasts of South Africa. It's an introduction that brings together the city, mountain, and a fabulous coastline. The Kalahari couldn't be any more different, an expanse of sand and desert that reflects the enormity of Africa. 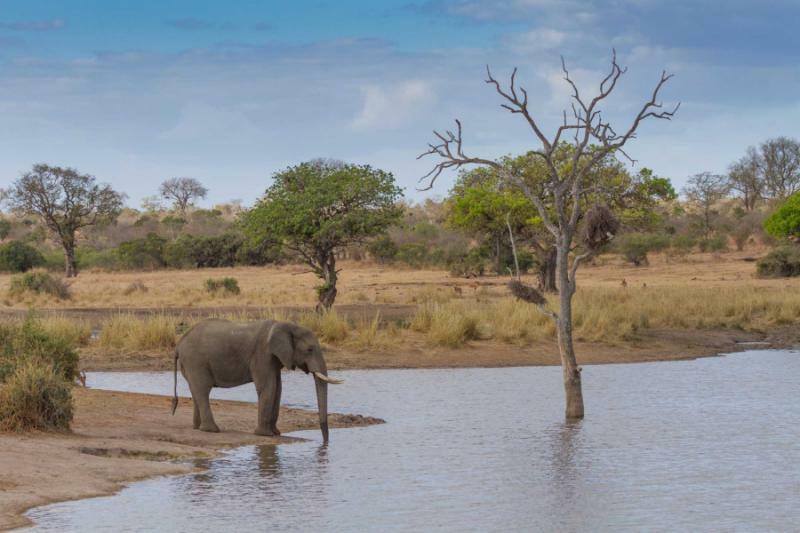 Elephants bulls migrate slowly across the horizon; black rhinos and Kalahari lions meet at a waterhole, and there's always an unusual bird or mammal fluttering around the camp. Spending four nights in a Tswalu Kalahari Reserve Safari enables you to enjoy the complete range of safari excursions. From cantering alongside zebra to walking with a bushman tracker, Tswalu is all about new experiences and inspiring days in the desert. A Kruger safari is completely different. There's a greater concentration of wildlife here, especially the famed numbers of lion and white rhino. But you won't see everything in the same place. Over three days you drive around this huge national park, stopping at a different wilderness camp each night. It imbues the sheer scale and surprise of an African safari, taking you between habitats and into the lesser-seen parts of what is one of Africa's oldest and largest conservation areas. While Tswalu was about different angles, Kruger is all about the outdoor adventure and submersion in nature's thrilling realm. Arrive in Cape Town and you can't escape admiring Table Mountain, its famous precipitous slope dominating the cityscape. On the journey from the airport, you'll probably want to be leaning toward the window to take an iconic photo. But there's no need to rush. After the overnight flight, enjoy an early check into your five-star Cape Town hotel and a couple of hours of recuperation. Table Mountain is famous for its “tablecloth,” a layer of mist that rolls over the mountain as the afternoon slowly turns to evening. A driver takes you to the cable car station, and you ride a revolving glass-fronted car to the summit, a couple of hours before the tablecloth arrives. An easy walking trail reveals dozens of viewpoints once you're on the mountain, combining city suburbs, Atlantic waves, and the rugged spine of the mountains. From up here, you can truly discover how the city is nestled amongst nature. After the inspiring introduction to Cape Town, you return to the hotel and the evening is at your leisure. Consider reading some of our travelers safari reviews for Africa, and gain some inspiration to further refine and perfect your own African Safari itinerary. Stories are etched into every Cape Town brick. Today is about uncovering them. Out on Robben Island, you experience the solitude of Nelson Mandela's incarceration. An ex-inmate guides you around, revealing the conditions and chronicles of the island Mandela was never supposed to leave. After a ferry back to the city, there's an even older Cape Town history in Bo-Kaap, the colorful houses that harmoniously mix religions and backgrounds. 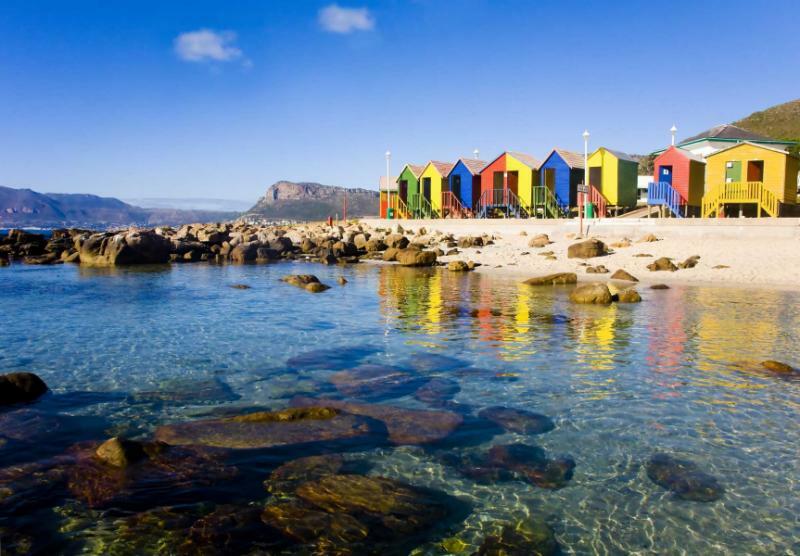 Vibrant and welcoming, Cape Town is filled with friendly faces who want to show you their home. This is epitomized in the township of Khayelitsha, where your local guide unravels the history and brutality of apartheid and the hopes and dreams of the future. Khayelitsha unashamedly reveals the truth of township life, and it's far more optimistic than most people imagine. This full day tour includes lunch, and you return to your hotel in the late afternoon. 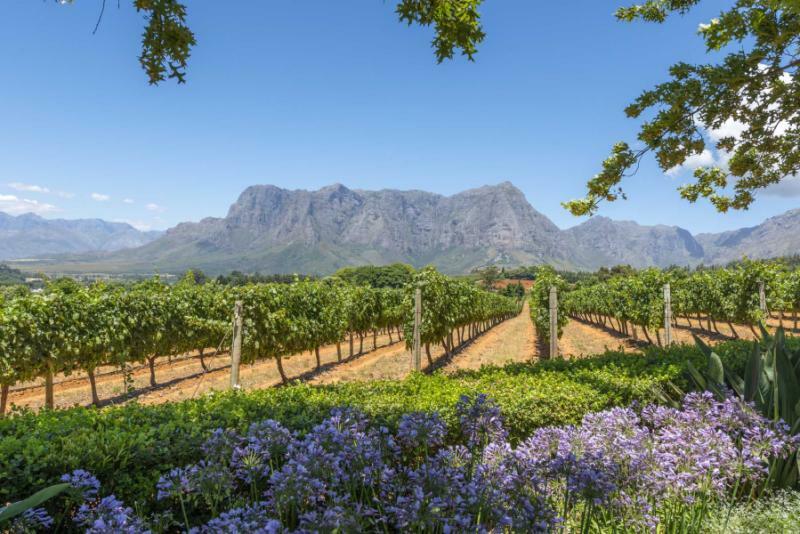 Lines of Pinotage grapes flow from whitewashed farmhouses, Chenin grows on the valley's slopes, and unusual soil helps create vast vineyards of Shiraz and Merlot. 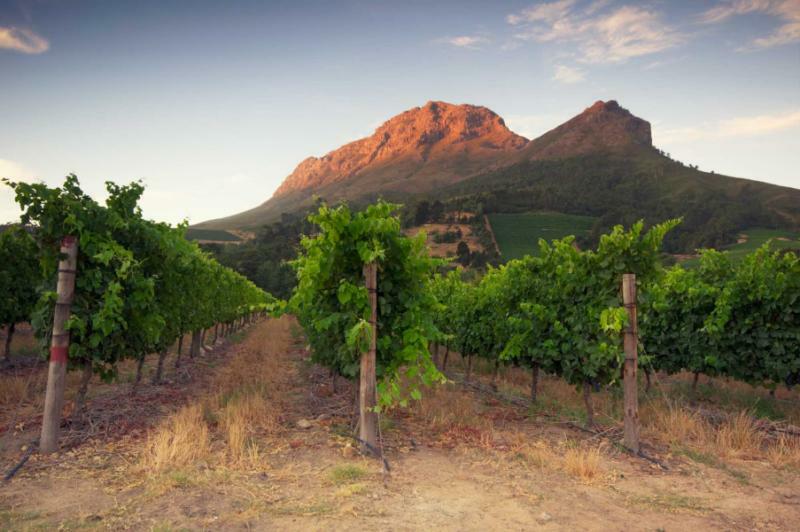 South Africa's international wine reputation is centered on the produce of the Cape Winelands, an area with hundreds of different vineyards. 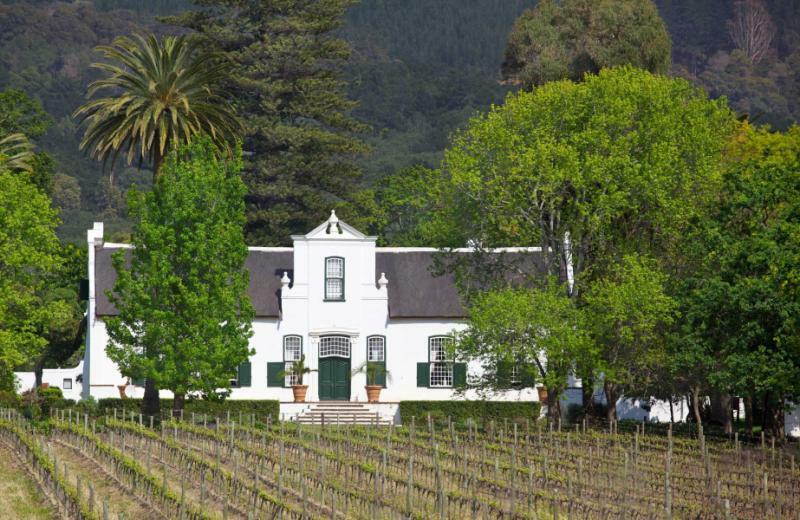 Today's private tour offers a customized journey through the elegant estates and sensual tasting rooms. Sample your way through award-winning wines, famous vintages, and various unexpected combinations. There are cheese and wine pairings of course, but also chocolate and wine, and the rare fusion of biltong (cured meat) and wine. 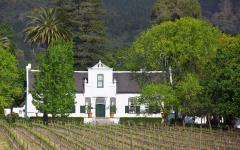 A complimentary lunch is served on a luxurious terrace, with panoramas that reveal the entire Winelands valley. Visit five different farms, meet a couple of winemakers, then return to Cape Town and enjoy the sunset views. Cape Town intricately finds a balance between nature and urban life. Empty beaches spill out for dozens of miles, different mountain peaks stand above the city, and ocean colors mix with the green fynbos of the Cape. 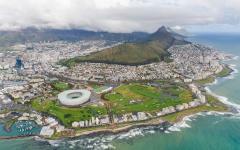 A helicopter tour enables you to appreciate fully this balance, sweeping you down the coast and above the Table Mountain chain. 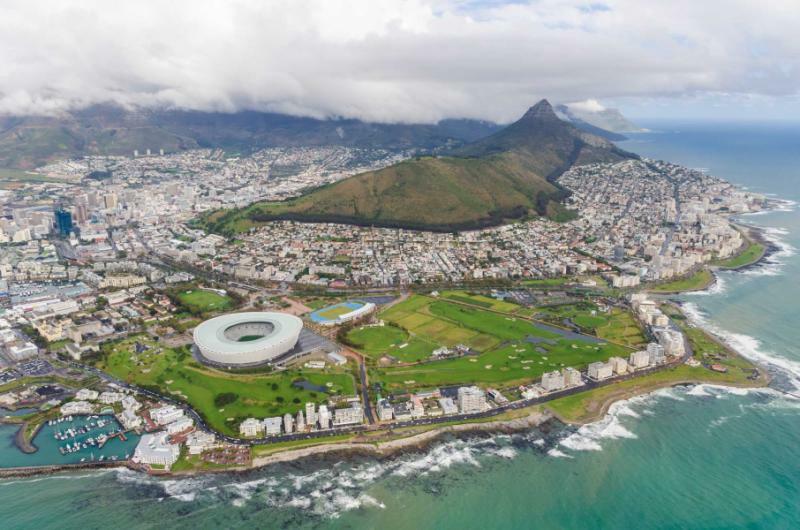 On this Cape Peninsula helicopter ride, you're propelled south, flying down to the southeastern tip of the continent, then swooping back across the mountain chain. There's a natural glory to the Cape, the mountains rough and rugged and the ocean waves continually crash against the shore. An aerial journey captures it all as it showcases a surreal landscape. Yesterday you were engrossed by mountain chains and ocean rollers. Today you're getting lost in the Kalahari Desert. If the Kalahari ware a country, it would be within the biggest 30 on the planet. Surreal and seductive, it's a desert that reveals nature's perennial cycles. Elephant herds constantly roam for water; black rhinos hide in the rare shadows, black-maned lions bite into zebra carcasses, and there's always competition for water and prey. After the direct flight from Cape Town, you have a few hours to enjoy the serenity and settle into the luxurious camp. When the heat of the day has dissipated, head out on a game drive through the reserve. First impressions are timeless on an African safari. 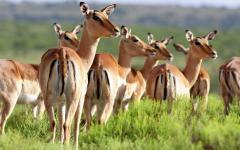 Every mammal enchants, from the skipping springbok to the giraffe that lopes around in search of trees. Don't worry if you don't see everything straight away. You've got a full four days in Tswalu. Out in the desert, it seems silent. You're standing on a dune, surveying the natural realm and nothing appears to break the serenity. Stop. Wait. Keep looking. A lone springbok emerges over the horizon and wanders over. Now a herd of eland slowly rumble past. Next comes an elephant bull, a lone tusker in search of water. Now some buffalo, rumbustious as ever as they seek out fresh grass. Tswale is never silent, and there will always be wildlife if you're prepared to stop and wait. Tonight you dine on the sand dunes, on a picnic table erected with a premium view over the landscape. With afternoon rolling into dusk, it's a wonderful time to take in the 360-degree panorama and admire the wildlife that appears then disappears beyond the horizon. Your daily program is customizable and includes two activities, one in the morning and late afternoon. This coincides with activity in the desert, as these cooler hours are ideal for lionesses to hunt and big mammals to prowl around. The following description is just as an example of how the program might look. Game drives are a great introduction to safari as they enable you to cover large distances and seek out the complete range of wildlife. 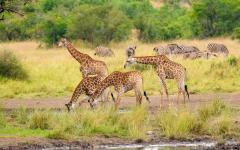 By crossing into different habitats and touring the waterholes, you get close to the famous wild. In Tswalu, that means an opportunity to spot a rare black rhino. Recent estimates suggest that only around 1000 of these majestic animals remain in the wild. Horns proudly pointed, they bashfully wander across the desert in search of food and water. 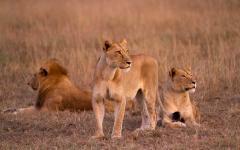 Then there are the prides of black-maned Kalahari lions. Of all of Africa's feline subspecies, it's these powerful hairy lions that most capture the imagination. 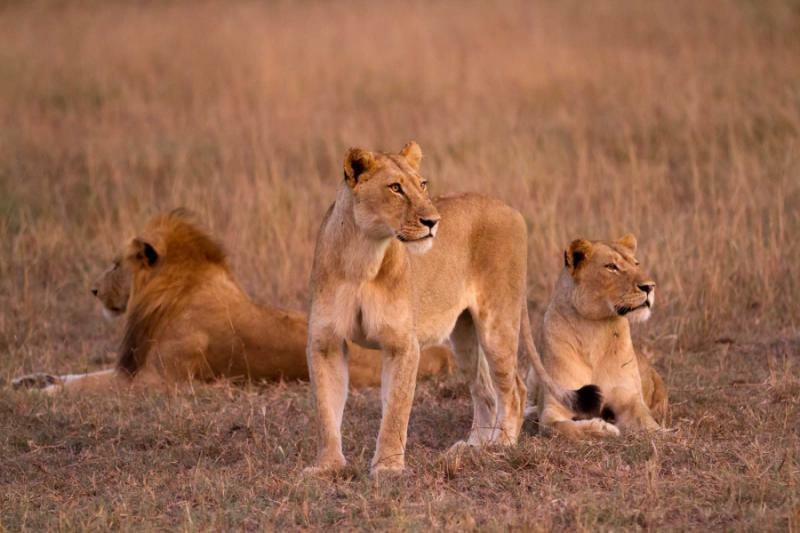 Resembling a seemingly fictional image, these lions are an elegant and unforgettable find on your game drives. If you're lucky, you'll see them tucking into a carcass or prowling menacingly nearby the waterhole. Today brings a different angle as you ride a horse through the desert landscape. Routes are carefully planned, steering clear of the predators and following the ungulates across the sand. 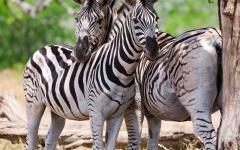 Canter alongside herds of zebra, walk slowly to wild oryx and kudu and keep a respectful distance from a buffalo herd. On the back of a horse, everything seems bigger and closer. Wildlife becomes inquisitive, stopping to inspect the unusual creature (the horse) that shares its landscape. Note that this horse riding safari is just part of the Tswalu offer, and you can tailor your own itinerary of different activities upon arrival in the reserve. As the sun pierces the horizon, you're already soaring, rising above the Kalahari in a hot air balloon. Only from the air can you appreciate the scale of the landscape; dunes twisting skyward, scorched ground covered in nomadic animals, the giraffes and elephants on a long dusty journey. Sunrise colors enhance nature's show, long beams of yellow and red tumbling across the horizon. Arrive and it's still morning, so enjoy an extended breakfast before your next safari activity. Walking safaris are an intimate way to explore, with a local bushman tracker taking you to Kalahari's secrets. 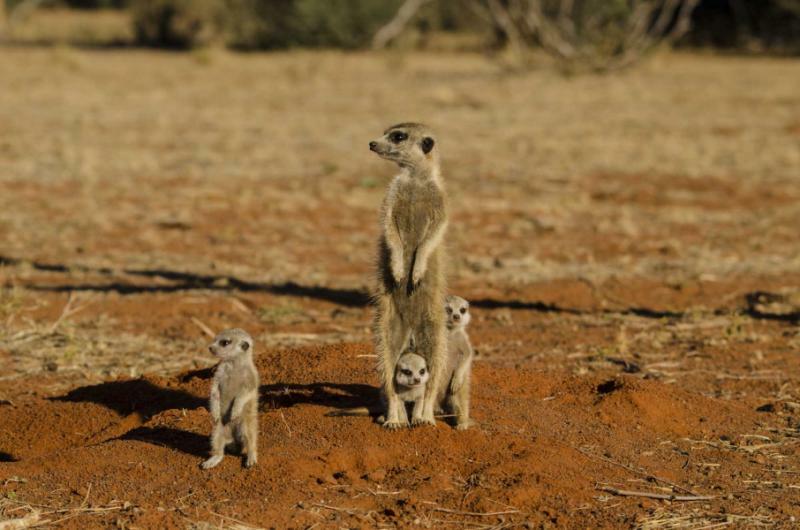 Meerkats pop out of the ground, fascinating rock art is painted into caves and overhangs, and slowly you learn how to recognize different animal prints. 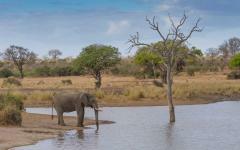 A final morning game drive in the Kalahari and you depart for a new landscape. Sprawling Johannesburg might not have the charm of the desert at first glance, but give the city a chance and there are some intriguing attractions to find. A local guide will customize your city tour, and there's a wealth of choice. Explore the national Apartheid Museum, visit Soweto and Nelson Mandela's former home (Desmund Tutu still lives on the same street), dine in the creative suburb of Maboneng, and find the secret to human evolution at the UNESCO World Heritage Site, the Cradle of Humankind. 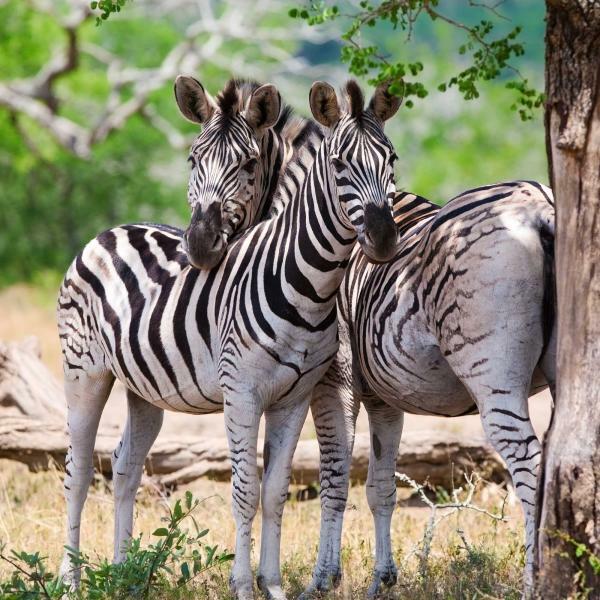 With another safari adventure to come, today is a quick chance to reconnect with the urban world and check out a very cultural side to South Africa. Sweeping across the northeast of South Africa is Kruger National Park, a mammoth enclave of wilderness and a haven for a huge proportion of Africa's most famous mammals. It's estimated that half the world's rhino population roam freely here. 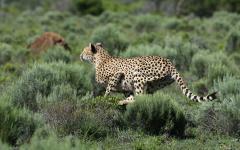 Then there's a stunning abundance of lion prides, leopards, and cheetahs. 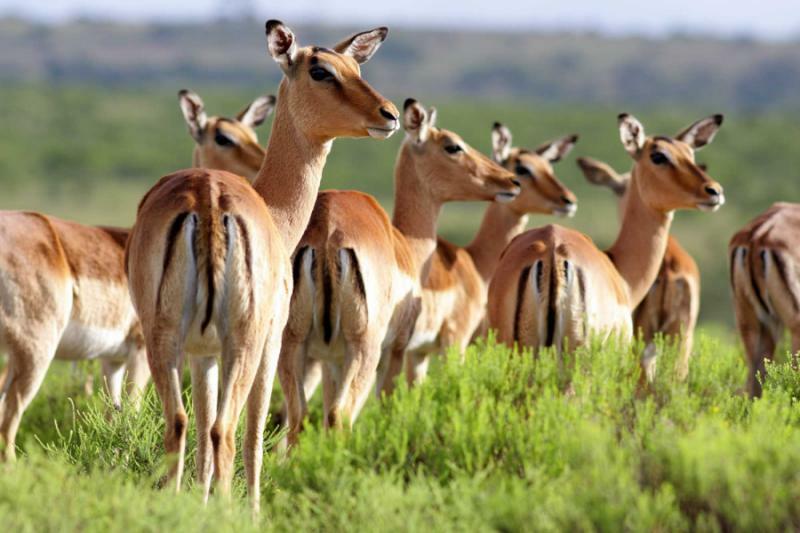 With its range of habitats, Kruger also supports the small and unusual, like aardwolves or diminutive antelopes that barely rise above the grass line. In Tswalu, you used a single base to enjoy a variety of different safari activities. Offering a new experience, your time in Kruger revolves around long game drives and spending each night at a different remote camp. For these three days, you're deep within the savannah, savoring every animal that wanders past. For its sheer scale and diversity of life, this three-day experience authentically reveals the best of an African safari. Wake to a breathtaking soundtrack, the birds chirping to warn impala of a lurking cheetah. Enjoy breakfast with a view of the savannah, with elephants occasionally passing through the trees and hippos returning to their daily waterholes. Set off on the drive and you go slowly, taking in all the clues and taking a detour whenever something special appears close by. While you have a destination in mind, it's the journey that makes the experience in Kruger. Dozens of rhinos are spotted, this time, from the white subspecies, larger and less shy when compared to their cousins. Stop for lunch en route, with a picnic enjoyed with a premium view. On some days, this might be beside a pool of fighting hippos. On another, you could be perched on a rock surveying the Kruger kingdom. The roads are rugged, and it truly feels like a remote bush adventure. You head north and east over days 10 and 11, before looping back south along the western corridor of the park. Rarely do you move at more than 20 – 30 mph. Driving slowly means you spot the clues and find the hidden sights. Foliage rustles and when you look closely, there's a leopard hiding within. Fresh dung takes you on a sandy trail, towards a big herd of elephants shooting jets of water around the river. Circling vultures alert you to a fresh kill and hyenas that are already tearing up the leftovers. On most days, you should arrive at camp in the late afternoon, having time to shower and refresh before sunset and the enchantment of night. At these remote camps, you're surrounded by resonance, with so many different animals leaving their pitched tones on the landscape. By the end of the day, you're camped back in the southwest of the park, along a river that's populated by rhino sightings. 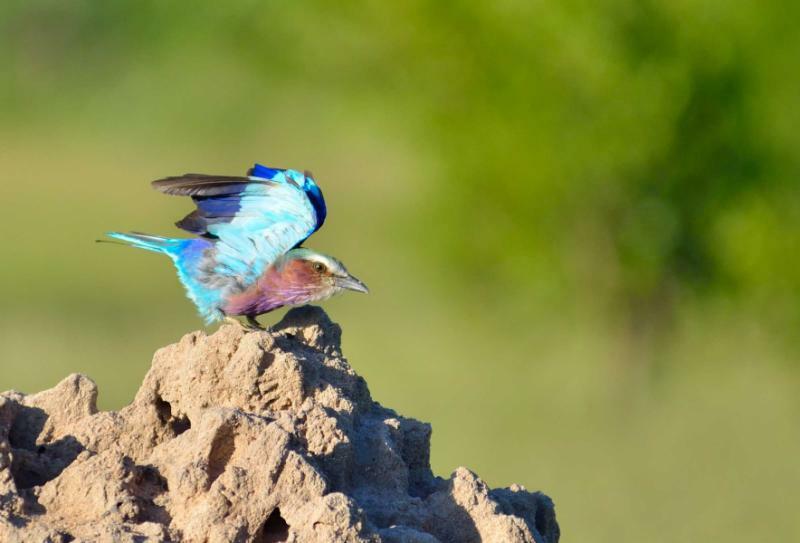 As you leave Kruger, it's not quite time to relive South Africa through your vacation photos. There are still lions and other spectacular animals roaming wildly as you drive out of Kruger. Think of it as an airport transfer with a twist. Arrive at Nelspruit for a flight to O.R Tambo International in Johannesburg, where you continue onto your return international flight back home. The customized package will include hotels, airport transfers and other transportation within South Africa, guided tours or activities, unique experiences, trip planning, and 24x7 support during your trip.